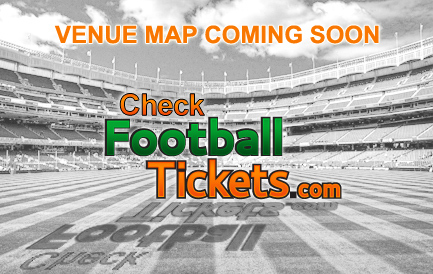 Checkfootballtickets operates as one of the leading secondary marketplace websites for sports tickets around the world. We work hard to make sure you'll get the best prices. Tickets on our website can be higher or lower than the initial cost of the original tickets value. We add to the below prices handling fee per order and service fee per ticket, nevertheless our total final prices are the best in the market. Buy with confidence now! www.checkfootballtickets.com is a commercial firm focusing in locating and reselling tickets for sold-out and/or very popular Football matches and for so to speak "hard-to-get" football matches tickets. www.checkfootballtickets.com acquires football tickets on the secondary market and the prices stated on this website indicate the level of difficulties in acquiring those tickets. Due to fluctuations in supply and demand, the level of difficulty, the efforts invested locating such highly demanded football tickets, the cost of acquiring and the cost required for servicing and supplying the tickets to the customer's location it only make sense that the prices of the tickets will be higher than the face value printed on the tickets in certain cases even much higher. www.checkfootballtickets.com prices will be different from the prices that might be displaying on the actual ticket/s and the customer cannot obtain any privileges or rights from this fact. www.checkfootballtickets.com prices excluding handling fee, delivery costs as well as VAT. www.checkfootballtickets.com is not linked to any box office, or subsidized by any of the stadiums, teams, Football Clubs, Football Associations or organizations whose tickets this website offers for sale. The Tottenham vs Watford tickets are in high demand and our inventory might sold out very soon. Check our great prices and book your Tottenham vs Watford tickets now to secure your seats. We will deliver your tickets via top courier services such as Royal Mail, FedEx, UPS, DHL or our own top delivery services. The Tottenham vs Watford football match will take place at Stadium MK stadium in Milton Keynes on 26/09/2018 - 19:45. Book the Tottenham vs Watford tickets now and join the unforgettable, thrilling experience. No tickets available for this event. Got spare tickets? Selling is fast and easy, you decide how much you want to receive, Ready to begin? Sell your tickets now Click here. Great Prices: We use CTS - Compare Ticket System  which is a unique proprietary state of the art technology platform developed by www.checkfootballtickets.com to automatically scan and compare our competitor’s prices on an hourly basis and make the necessary price adjustments by our ticket specialists, hence making sure our customers receive the Best prices in market for each and every football match. Exceptional Customer Care: At www.checkfootballtickets.com we put the customer in the center. Our well trained professional Customer care personnel are very attentive, friendly and highly accessible via the phone, mail or live chat. We strive to provide you with service quality which far exceeds your highest expectations. Largest Ticket Resellers: www.checkfootballtickets.com is considered one of the biggest ticket resellers in the European online secondary market as we serve major Sports Travel agencies and tour operators; we work with many partners, affiliates and associates from all over the world. CTS - Compare Ticket System  is a unique proprietary state of the arts technology platform developed by www.checkfootballtickets.com to automatically scan and compare our competitor’s prices on an hourly basis and make the necessary price adjustments by our ticket specialists, hence making sure our customers receive the Best prices in the market for each and every football match.